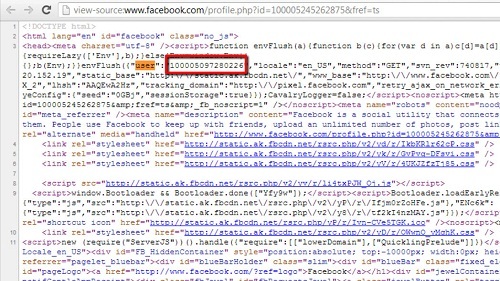 In this tutorial you are going to learn how to get someones facebook id number. Make sure you are logged into your Facebook account. 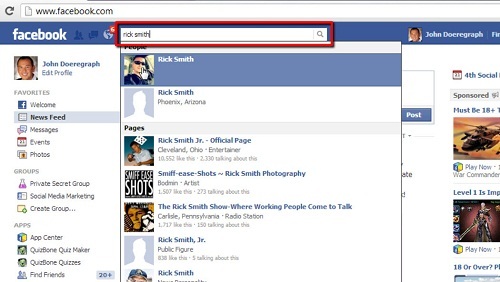 Search for a friend using the search bar in the top of the Facebook window. Click on the name of friend you want to know the ID number of. 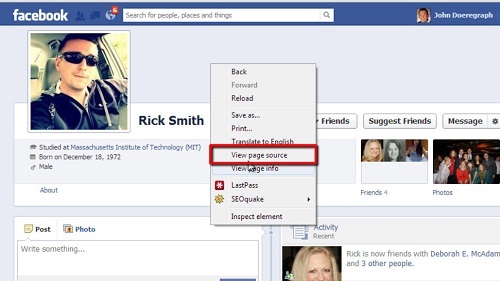 Right click on any blank space on your friend’s timeline. In the menu that appears click “View Page Source”. A new window will open showing the code that the page is made up of. Press Ctrl + F and write “user” in text box that just appeared. The search will automatically take you to the first “user” that is found. The number that is shown after that is the Facebook id number you are looking for and that is the simple procedure for learning how to get someones facebook id number. Update: You should search for “UID” instead of “User”.